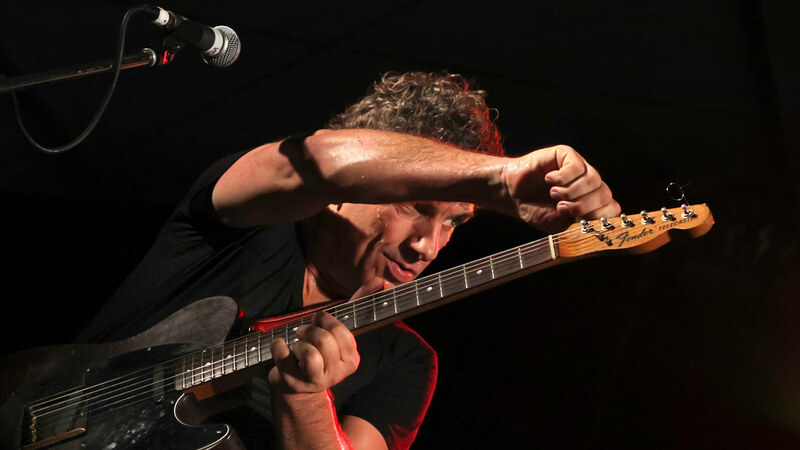 Born and raised in Alice Springs, Ian Moss is respected as one of Australia’s iconic musicians, Ian Moss delivers an unforgettable sound – not only as a telling soloist on guitar but especially with his silken voice, ringing with clarity and resonating with pure soul. In 1973, Moss moved to Adelaide where he answered an advertisement for a guitarist in a shop window in 1973, joining the band that was to become a legend in Australia – Cold Chisel. They starting the hard grind of playing gigs on the back of flatbed trucks and in suburban hotels, before hitting the road and paying their dues, playing countless one-night stands across the country. The reputation and status of Cold Chisel steadily grew, mainly on the strength of these blistering live shows, and in time their well-crafted recordings became staples of radio airplay. By 1980, with the release of the seminal East album, Cold Chisel was the biggest band in the country. Moss’s voice began to shine through such seminal Cold Chisel songs as Never Before, Bow River and a gorgeous rendition of Ray Charles’ Georgia. Cold Chisel burnt brightly, so much so that the end was nigh in 1983, with the band breaking up after the famous Last Stand tour later that year. Moss was poised for a successful solo career, but patiently nurtured his music over five years until the release of his chart-topping debut single Tucker’s Daughter in January 1989, followed by the Top 10 single Telephone Booth in June, before his debut solo album, the multi-award-winning Matchbook, was released in August, entering the charts at #1 and remaining there for three consecutive weeks. Moss consolidated this success with constant touring throughout Australia and Europe during the ‘90s, releasing the Worlds Away (1991) and Petrolhead albums (1995) along the way, the latter making a return to the blues rock roots that had defined the early part of his career. A Cold Chisel reunion during 1998 put Ian back in the national spotlight as a showman and musician of dazzling ability. It reminded the Australian public of his alluring talent and diversity as a performer. Moss’s musical output took another exciting fresh turn on 2005. He was invited to record an album of acoustic songs for Liberation Music and the Six Strings album – part of the Liberation Blue label’s engaging acoustic series – was the result. Heartened by success for that album, a second chapter of Moss’s acoustic recordings – his sixth solo album Let’s All Get Together, released in 2007 – saw the input of guests including James Morrison and Margaret Urlich. In 2008, allowed his guitar work to take a back seat to his singing on the Soul on West 53rd album which featured fresh takes on classic soul songs from the likes of Sam Cooke, Al Green, Otis Redding and Levi Stubbs. The years since have seen the release of Greatest Hits Acoustic (2011) and a new Cold Chisel album, No Plans (2012) and an endless road of shows both solo and with Australia’s most iconic band.